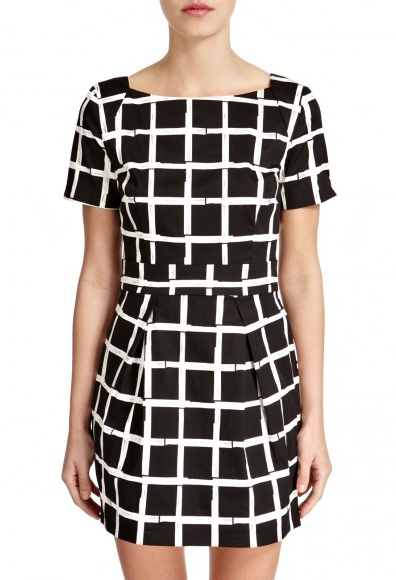 I'm fond of this French Connection Richie dress because it's a bit like a crossword in negative. I'd like to fill her in (not in the Danny Dyer/Jason Statham/Ray Winstone sense of the word, you understand. Poor petal, she's done nothing to deserve that). I do the Guardian crossword every day (the quick one, not the cryptic one, because I keep forgetting how to actually do them), and last Monday I was rewarded by 2 Down's answer being LAURA. I was so pleased, I cut it out and kept it. These Topshop shoes aren't really my usual style, but something about them being GOLDEN, snakey, shiny, and SEVEN POUNDS makes me want them. I'll be a proper little twinkle toes for sure. 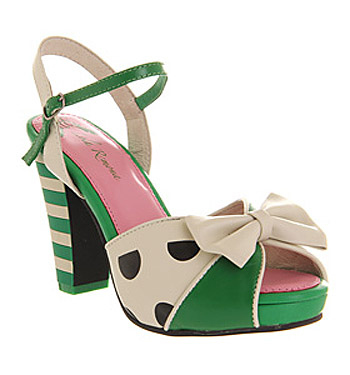 I approve of these Lola Ramona heels. According to Office, this Danish brand "walks away from everything mainstream". Things like polka dots, one presumes, and stripes. Bows? The colour green. OH DEAR. Never mind, Danish brand Lola Ramona, better luck next time. Your shoes are still dejlige. 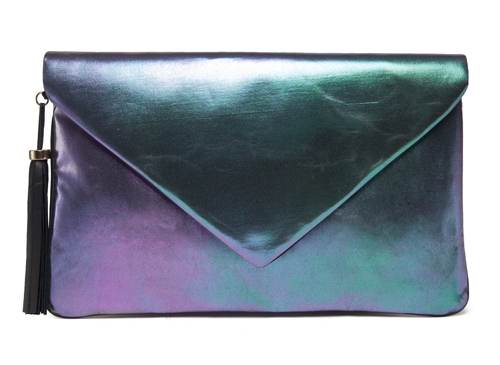 What's up, doc(tor's bag from ASOS)? 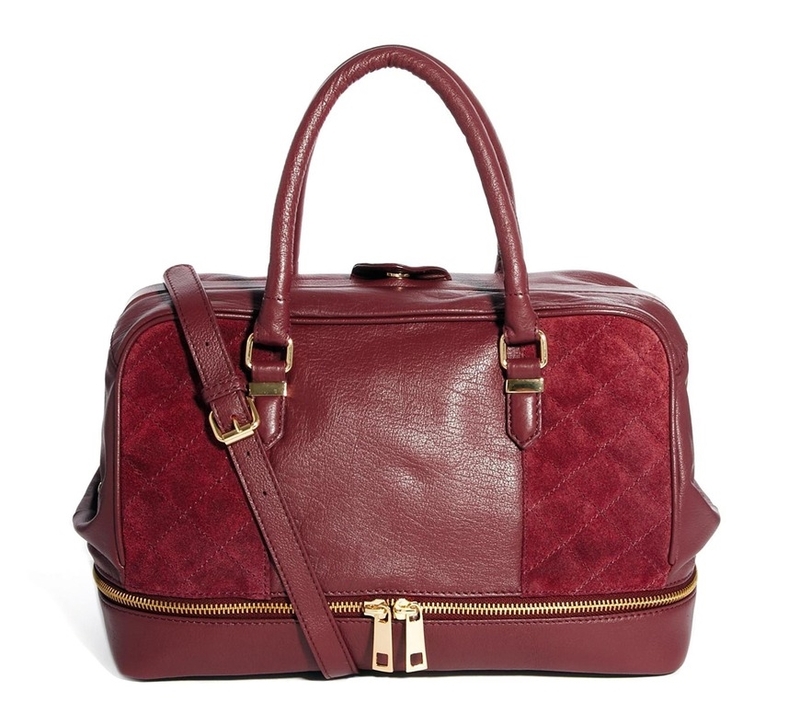 Leather, quilting, and a special zippy compartment down below, that's what. I love a frame bag at the best of times, and aforementioned special zippy compartment has made me want this one with a passion, because it will give me somewhere to store Hilary and Derren all the leaky things I drag about with me on a daily basis. There was an inexplicable incident with a miniature bottle of Dettol the other week. I didn't even know I owned a miniature bottle of Dettol. But there it was, pouring itself all over the inside of my bag. No germs on me. 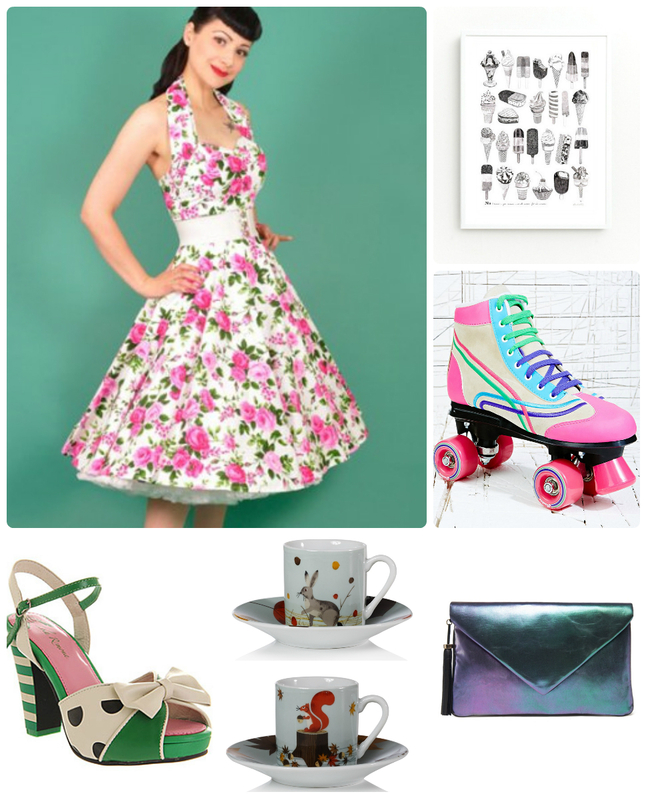 Sian was extolling the virtues of Miista in her independent shoe round-up last week, and I'm going to echo her appreciation with a big yowl of LOOK AT THIS BAG! It's like a shiny, shimmery beetle, but without the shrieking and scrambling around for a newspaper to roll up and thwack it with. Don't thwack the bag, ladies. You are, however, permitted to shriek. I understand. 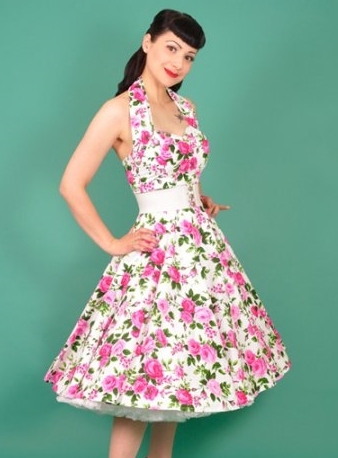 Much like fetch, we Sluts are trying our damnedest to make Summertime In April happen, and we obviously all think ice cream is the magical, transformational ingredient we need. 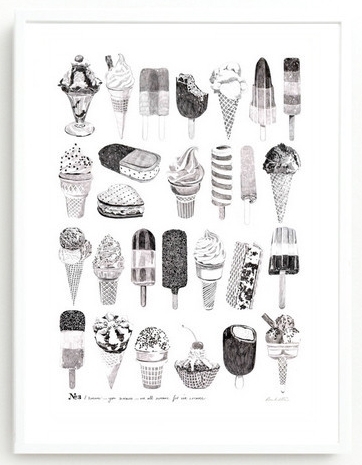 We've already featured an ice cream dress and an ice cream blouse so far this year, so let me add an ice cream print to the mix and see if that works. There. I fully anticipate a heatwave tomorrow now. Cheques of gratitude in the post to me, Sian and Frances, please, for our unwavering dedication to the Summertime In April cause. 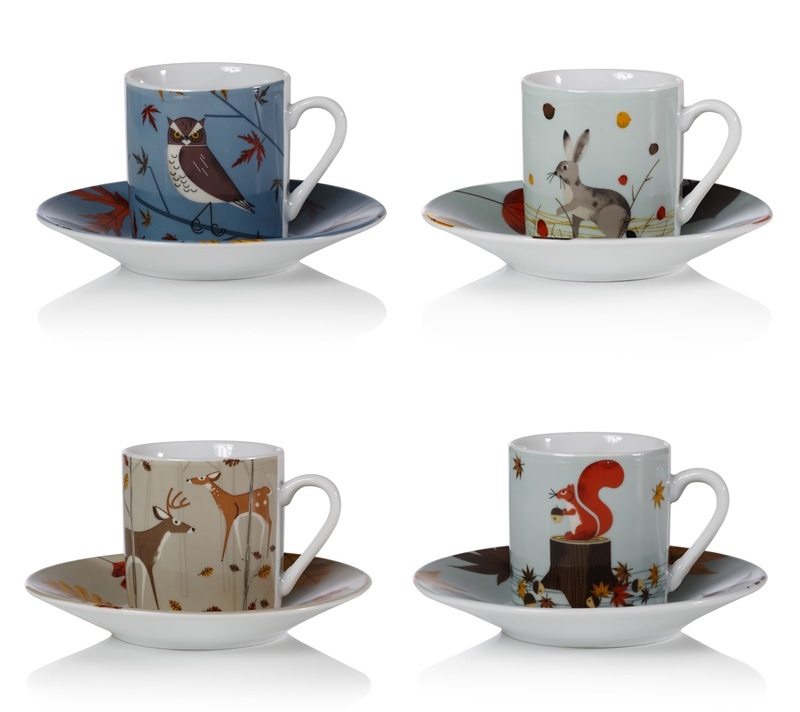 Alternatively, we could try to make autumn happen by buying these Forest Friends espresso cups from Oliver Bonas. The saucers are decorated with leaves! The hare is my favourite. No, the squirrel! Maybe the deer. Oh, but look at the owl! I love them all EQUALLY. Don't pretend you don't want these. Are we all feeling fine and have we all been buying nice things? Do tell. I BOUGHT THE SHOES! 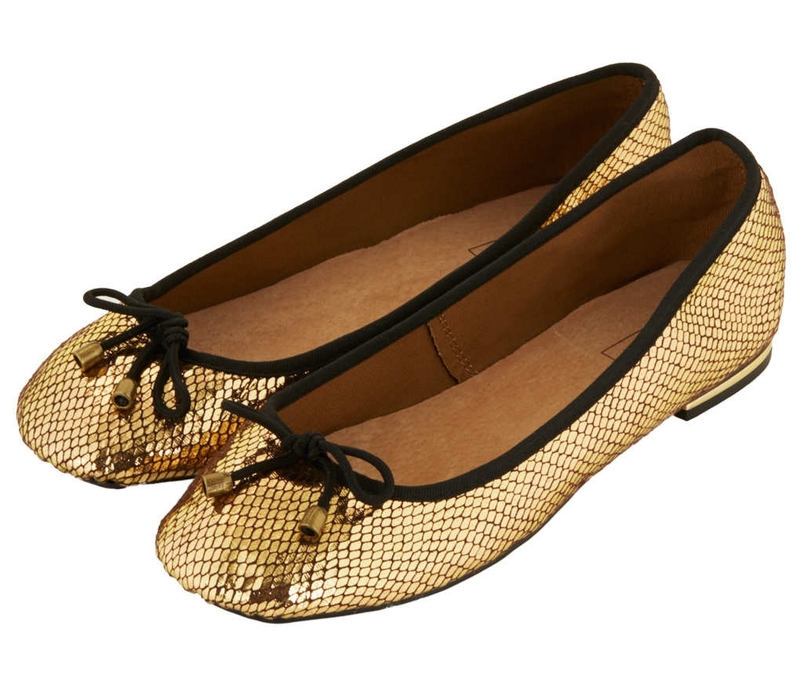 This never happens - the last pair left of those golden sparkling magical £7 joys were a size 9! 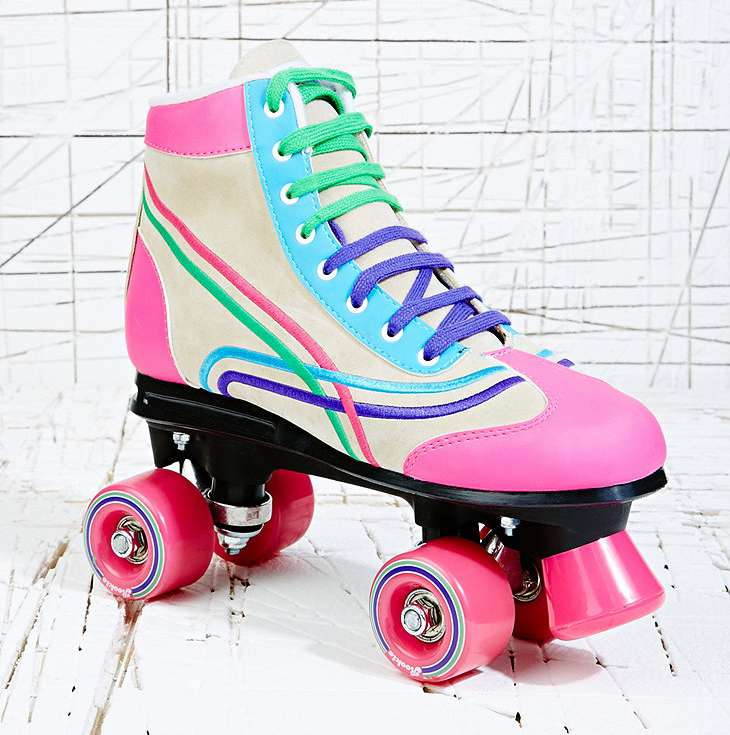 Duly purchased, and winging their way to me by next week. Thanks Laura! I now want a badge saying "Trying to make Summertime In April happen"
Stop trying to make "fetch" happen! It's not going to happen.